Baby boomers are a major part of our workforce today and play a very important part in the freight and distribution industry. I’m told that the average age of a truck driver in New Zealand today is 49. This presents positives and negatives. The maturity and experience of these drivers makes them very valuable. They know the road, they know their vehicles and routes and get the job done. They are largely professional drivers, many of whom own their own vehicles. Many were able to do that by borrowing against their homes and the average freight company as we have discussed in previous blogs is 0-5 trucks.These operators tend to be very good at their job, but not well versed when it comes to technology. Applications to help them improve efficiencies in their work need to be very user friendly. That is something that GeoSmart puts a lot of energy to. 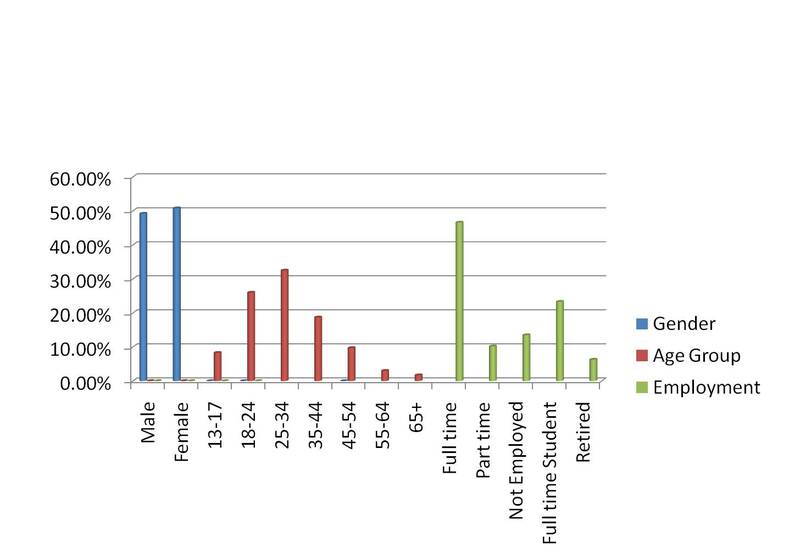 The flip side is that not a lot of people are rushing to become truck drivers. 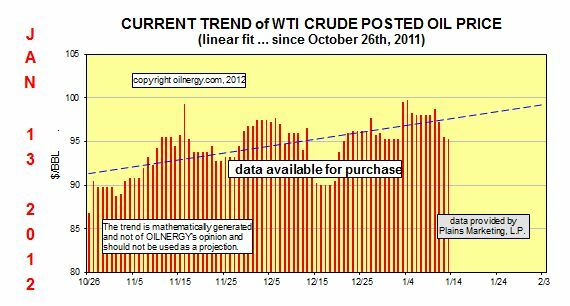 Many companies don’t really want them until they reach around 24-25 and have burnt out the lead foot testosterone which could be a disaster in a big half a million dollar rig. By that time, a lot of the working stock that might have gone into truck driving have chosen other career paths, or have moved to other shores such as the mines in Australia where they can earn 3 times what they can get paid in New Zealand. We can hope that they will come back to New Zealand with those savings and experience and use them to invest in their driving career back here. These people are of course extremely tech savvy and will expect to have access to applications and services such as Real Time Traffic, Route Optimisation, Car Navigation, Fleet Management and Business Intelligence. Keeping these ageing drivers healthy and productive is a sustainability policy in itself. Providing them with tools starting with car navigation with real time traffic is a good start. It’s easy to use and whist these people may know the roads like the backs of their hands, they don’t know that there is an accident or traffic congestion that is going to stop them from getting where they are going. 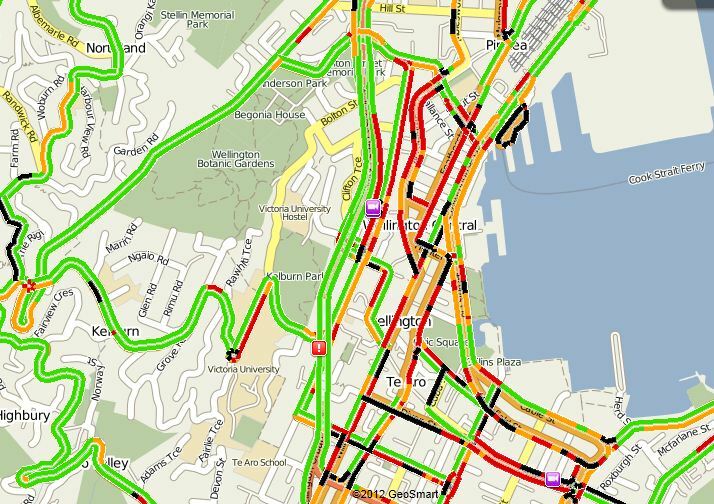 They also don’t necessarily know alternate routes they could be using or what the traffic conditions are there. It could be driving out of the frying pan into the fire. A device that tells them there is a 35 minute delay on their current route, but an alternate route will only have a 10 minute delay could be gold for these people. 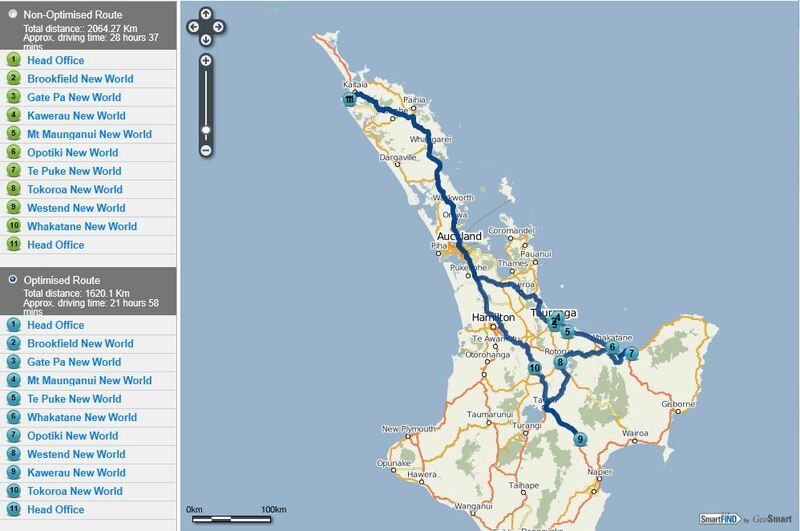 If you are looking at one of these, make sure it provides coverage for the are they are driving in and has the very latest map data as there have been many changes in New Zealand roads over the last year. 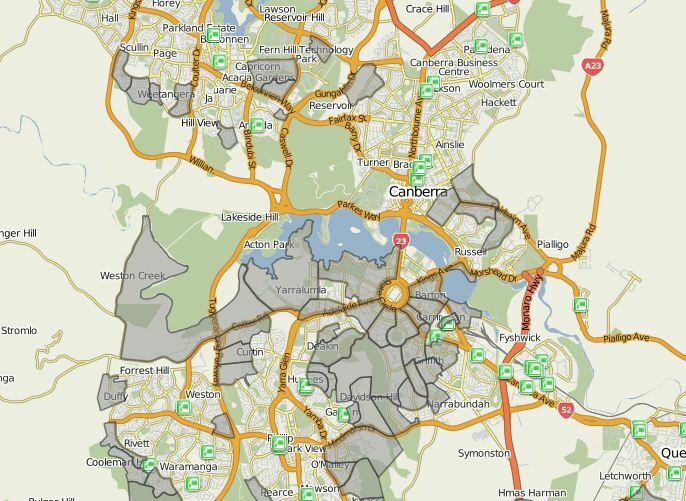 GeoSmart produces new map updates every 3 months. This morning I was watching a podcast on Unterther.TV which was an interview with Ken Harlan of MobileFuse, a Mobile advertising network. Their core business is publishing ads on mobile applications and web pages, but the discussion that got my interest was about people using their own Smartphone devices to do their shopping. This piqued my interest because one of the areas of shopping in the future is about navigating the grocery store and shopping interests. GeoSmart is often found at the leading edge of location based technology, working with partners to come up with new applications and helping build the future that one day we will take for granted. 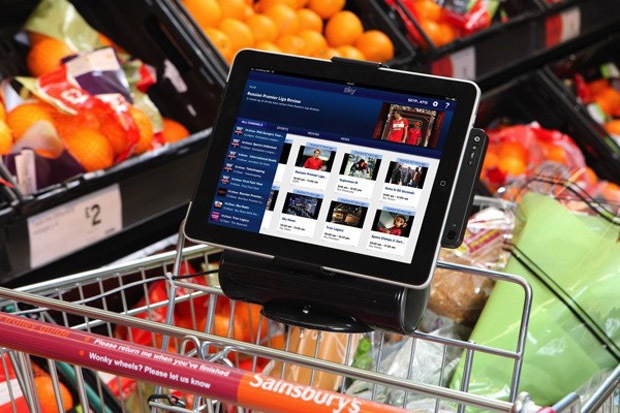 Sky and Sainsbury’s Supermarkets have collaborated to put iPad mounts with chargers in supermarket trolleys. The story suggests you might like to watch sport news and other entertainment. 1. A Sainsbury App that gives you access to their product list including using your Smartphone scanner as you consume product at home to generate your shopping list. When you are ready to go shopping, the app would navigate you to the nearest store to your current location or a selected location such as your home or other destination, so your frozen goods stay cold. 3. The App gets to know the sort of things you like to buy and shows you ads of similar products that may be of interest. This could include showing you videos about the product as you are walking around the store, it might even share recipes for you. 4. Where I get excited is that it could show you where to find all the products you want, in effect order the shopping list so that it lets you know which product to get next as you go down the aisle so you don’t miss anything. In a chain, location based mapping and indoor navigation information could be uploaded for any store in the country, so that anywhere you go, you don’t need to know the layout. 5. This brings in loyalty programs that recognise you and offers you deals based on products that meet your profile and would be of interest to you. 6. You scan your products into the basket in the same way as they have done in stores like Albert Hein in the Netherlands, but the difference is that you do it on your own device and probably also have contact-less payment at the check out. This may sound futuristic but self scanning was a struggle to introduce not that long ago. I think in a few years time you might find yourself doing it. Hopefully we will have assisted in this. Seems like I was on the mark in my blog in July about the huge volume of one day type web sites and that people will quickly get sick and tired of the bombardment of deals. So many of us today are getting huge numbers of time wasting emails, offering us everything from holidays to lucky dip bags. A story in Ad Age Digital this morning says that the trend is now definitely heading downwards in the US. Yelp, is cutting down its Yelp Deals staff in half as outlined by CNN today and Facebook announced this week that they are shutting down Facebook Deals after originally suggesting that they were going to make huge inroads into Groupon’s business. Just to reiterate, the problem isn’t the deals. The shear number of sites offering daily deals and bombarding consumers is a fad and most, as I predicted will quietly disappear as they find there is too much competition and they can’t make a profit or reach critical mass for a harvest or sale. As I have already said, retailers aren’t making money from these deals (generalisation) and where they do use the deals to get people into their premises, they don’t seem to be coming back for a second visit once they have their deals. I will shortly come back to the new strategy that has much more potential to generate positive cash flows for all concerned which is off course location or proximity based marketing. There will of course be a spate of these and many of the same developers will be jumping on the bandwagon, but they will find that it is much harder than they think and they will struggle to get many retailers on board for reasons I have discussed previously. All is not lost and proximity based marketing / check ins has huge potential. However it is something that takes an understanding of destination business, game theory, loyalty, what people actually need and want, knowledge about location based services and much more. Areas that we can help with. Get it right and this is a huge business opportunity for all, get it wrong and people will be turned off and it will take much longer to achieve the results that we are predicting. I did some research looking for New Zealand business success stories with check in marketing. I really struggled to find any. I went and visited a number of businesses in retail and hospitality and most of them didn’t know what foursquare was. One gentleman in a cafe told me he knew about it, but was too busy to learn how to do it. I pointed out that it was really easy, but he said he really didn’t have time and then sat down to have a coffee with one of his customers. I understand on further research that this is how he keeps a loyal clientele which is great, but he could always find a student or someone else to do it for him. I spoke to a number of people in retail that gave me a similar story. It seems, as is often the case that most managers are too busy working on their business to work in it. This is a trap in my humble opinion. It’s common knowledge that businesses like cafe’s and restaurants to name a couple, change hands about every 18 months, a classic bell curve that starts with ambitions and energy, hard work, great service and develops cash flow. Then they get into a pattern or flow of how they do business, stop innovating, perhaps stop having fun and start telling themselves how hard business is. When they started fresh, people enjoyed the new business, new products and faces and the passion flowing from the owner and staff. The thing is, we have an amazing opportunity to capitalise on location here. Remember the old rule of successful retail “Location, Location, Location”? Well it isn’t enough to stay fresh these days. As consumers we are spoiled for choices and sometimes we need a push to either stay loyal, or to try something new. Location Based Marketing is as simple as going to foursquare and claiming your business. 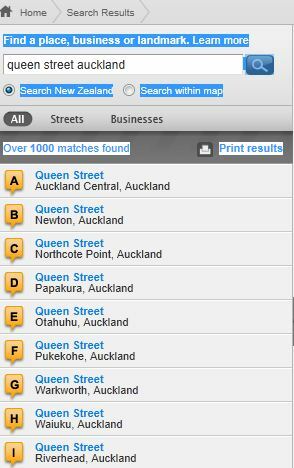 To be honest, claiming your business can be a little difficult in New Zealand from a validation perspective if you are in a non residential street (where NZ Post do not deliver mail) and I have tried to contact them about this, but you should persist. The great thing with foursquare for now is that they provide you with lots of very easy ways to set up promotion. You really don’t even have to be marketing savvy, it’s all laid out for you. Go and have a look and check out the Manager Tools. It is so easy. If you need more help, follow this blog and we will explain how to do it. People are checking into your store and stores near you all the time, why not give them a reason to come into yours, unless you have more customers than you can deal with. The numbers of people using check in services is growing greatly. 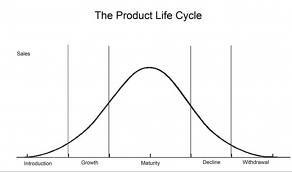 Have a look at the bell curve above and imagine this is your business. How long have you been in business? Have a look at your financials, now see if you can plot them on the curve. Is business growing? Are you on the rise? Have you peaked, would you like to keep the rise going? If you are reading this, maybe you have made some time to work on your business, which is great. Know someone in business who could use a little help? Tell them about this blog. There is more information coming on how to do these things. If you are already using check in services for your business, we would love you to leave a comment. 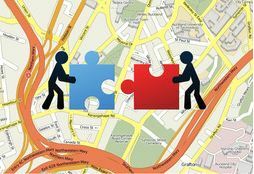 If you are part of a chain or collaborative group and are not currently doing anything in this area, or and agency wanting ideas for your client, GeoSmart would love to help point you in the right direction. We don’t create loyalty applications, but we have business partners and clients who do. We also welcome questions. I’ll leave you with a link to an article on BusinessDay News which suggests that Location Based Marketing could be worth US$6.2 Billion within a few years. Maybe there is something to it? Would you like a slice?